Agile is easy! It's making it work with your business that is hard! Last week I gave a talk at Turku Agile Day. The premise of the talk was simple: adoption Agile in R&D only is not enough. The goal was to create simple model to guide us through Agile adoption in a company (as opposed to a team). I came up with a model that included 3 steps and 15 lessons learnt. How have your experiences been? Have you faced similar or different issues? Check out the slides for the adoption steps and the lessons learned in the context of each step. Check out the slideshare page for the notes on the slides that explain a bit more of the content for each of the slides. View more presentations from Vasco Duarte. We continue to miss the point. It is not Kanban vs. Scrum, it is "people over process"! 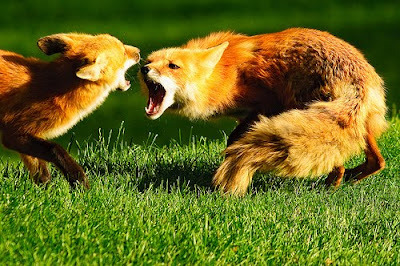 The Scrum vs. Kanban debates rage on in the blogosphere but I can't help but feel that our Agile community is missing the point. Where is the "People and interactions over processes and tools" that is part of the core values? I commented on Rachel Davies's post about what she calls W-Agile (waterfall disguised as Agile, I guess). In that post she identifies very correctly a typical anti-pattern of agile adoption (read the post, it is worth it). However in the comments she continues one thread with which I disagree, and I think the evidence for my argument is easily found around us. Vasco, You say "I disagree with the statement that Kanban can do anything to help the W-agile teams." I find this an odd thing for you to say and wonder if this is a gut reaction or based on experience? I have seen Kanban help make the end-to-end workflow visible as a first step to improve those invisible parts. I don't see doing that as incompatible with Scrum. My assertion is that Kanban *alone* cannot help where other methods have failed unless *people* change their way of thinking by way of adopting the Kanban (or any other) ideas. Sure, people can change, and many of us have changed our mindset when adopting iterative software development, then XP, then Scrum and recently Kanban. That's a fine argument to make, i.e. : Kanban can bring things to people's eyes that other methods have failed to *and* change the way people behave. But that is a totally different than saying "Kanban brings success"!. Please note that the key ingredient here is not Kanban (or Scrum, or XP), but the fact that people *change* their views, prejudices, etc. A new method can make a team succeed if and only if the person (or people) helping the team adopt the method succeeds in changing the team's behavior. Proving this hypothesis is rather simple: just look around you. Have you seen teams succeed with some method and other reams fail with the same method? I have. Many. Generalizing this observation proves that *a* method alone cannot make a team succeed (no matter the method). Have you see teams succeed while adopting method X with the help of person A while previously having failed to adopt the same method when helped by person B? I have. I have been person B and A myself! -> this proves that a person(mentor/coach) can have more impact than the method itself. Given that a mentor/coach can have a larger influence on the team's adoption of a method than the method itself, and that the same method can lead to success or failure (Jurgen's argument as well) then it follows that method alone cannot be a pre-condition for success or for failure. At the end of the day it is about getting the right help (or changing the help if it is not working) to adopt a method that fulfills your business goals (whatever that method may be). Agility is about providing business value, not about methods. I was skimming twitter this morning when I saw a link to an article/blog post in HS site about how they plan to "revolutionize" the way people interact/work with HS today. First let me get this out of my chest: whoever was tasked with creating this project is either a complete noob in this thing we call the internet or their task was to create a good video for a concept that has no chance in hell to succeed! 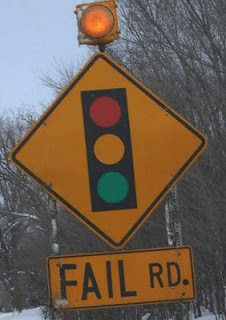 What a large #FAIL! Now for the actual content. HS misses the whole internet thing completely. First, they created this video which is about creating a platform that transfers their "paper" product to your screen. Really? Don't you have a little bit of imagination? Or at least look around to see what is happening! People don't want the "old" media in a new format. They want and need a new media, that is a more integral part of their life, not another format to learn! Third, the video seems to show that they want to use all kinds of media formats in their content: videos, more photos, more ads, etc. Well, I don't see how a decreasing revenue ecosystem (print media) can really work with a future model that will exponentially increase their production costs (more video report teams, more photographers and photo editors, more expensive content handling and management systems, etc.) I mean, look at Huffingtonpost.com. They are competing for attention with the big guys with a much smaller work-force! Fourth (and last - although I could continue for ever), they completely forget that in the age of the Internet, access to content is the commodity, what they should be focusing on is either a content-niche (opinion, creating social dialogue, etc. -- where they have no competition) or then try to create a dialogue with their customers that cannot be replicated elsewhere (like user engagement through social media, etc.). Trying to just create another "way" to access their content, which is closed, limited and will be out-dated 6 months after they spend millions implementing it is not just dumb, it should be considered neglect by WSOY board! Helsingin Sanomat: please wise up and truly innovate! Look around, there's lots of people in Finland with great ideas. Take a risk, listen to them. After all Finland is one of the most advanced countries in online/mobile services. Surely we must have people in this country who can give you great ideas! The Kanban vs Scrum argument stinks! But, can we learn anything from it? There were some interesting conversations on twitter last evening, so interesting that they are worth some comment. Here @agilemanager is trying to prove that Scrum cannot be done "right" because of inherent problems, specifically that velocity is so unstable that it cannot be used for planning. That argument, however, is easily proven wrong. 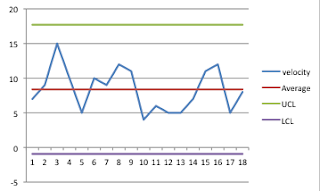 Here is a graph of a team implementing scrum, using velocity to plan for success and with a rather stable velocity. (Technically the velocity is "under control" as defined in statistical process control). This tells us that it is possible (unlike @agilemanager states) that using Scrum planning based on velocity is possible. And in fact that's the main long term planning metric that I've used in the past with success. The fact that we have a (statistically) controlled velocity allows us also to do other things like identify common causes and special causes that will require different action/intervention with the team in order to improve their overall result. Here @jgoodsen is disagreeing with @jurgenappelo's statement that as Kanban gets wider adoption it too will be mis-applied and lead to failure. This type of extreme position taking is an example of why the discussion between Scrum-mendalists and Kanban-istas is quite useless for the rest of us that are interested in learning more. The point is: Kanban, just like Scrum, initially is being practiced by early adopters. People that tend to read and study things more and earlier. These are also typically people that are given a license to experiment, to try out new things. In the end the effect is that, typically, early adopters are better at adopting new methods because they have done that more often (they are early adopters after all). Kanban is just another method/framework/whatever, it will succeed and fail as much as Scrum does. @jurgenappelo is right, any method fails when applied by a population large enough. The takeaway from this discussion for us should be that methods, ultimately, are irrelevant. It is the learning achieved by experimenting that matters. We should be sharing our learning, not our method allegiance! How about the mistakes we did by not doing anything? I'm sure there are many good quotes from Russel Ackoff. Here's one that makes my day, I see this happening all the time! "Schools and other organizations use accounting systems that only record one type of mistakes. If you do something you should not have done you pay the price, but not when you don't do anything. Now look at the situation most of us are in: working for an organization that says that making a mistake is a bad thing. But only one kind of mistake can be caught: doing something that you should not have done. Now, if you want to maximize your security in that context what's your best strategy? Don't do anything!!" -- Paraphrased from the video, emphasis added. Starts at 8:55 until the end of the video.